Visiting the eye doctor is necessary if you want to see clearly. The doctor says, “Is this one clearer, or this one?” When you can see clearly, you can better understand what you are viewing. In two passages today, Peter and then John are asking us to see more clearly who the true healer and savior happens to be. Peter had healed a lame beggar. Yet, Peter wanted to clear the vision of the crowds who had been so hasty to crucify Jesus—that it was Jesus who empowers faith to witness the healing of any person or any situation. 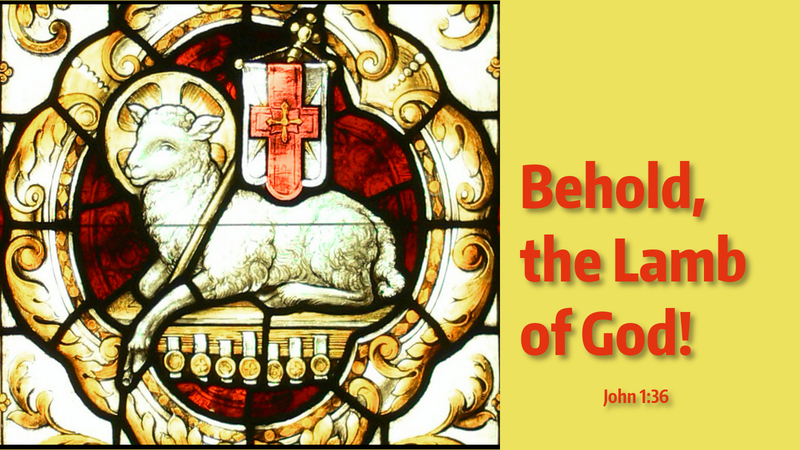 John surrounded by the crowds who came to be baptized, pointed to the true source of salvation—Jesus, the Lamb of God. John wanted the faithful to clearly see that there is only one person who can take away our sins, the Son of God. When we do not clearly see Jesus as our only source for everything in life, we start to think we can control everything through our own strength and will. But, eventually a person will run up against a situation beyond his or her power to control. Prayer: Lord, help me see you clearly. Amen.